Looking for a job in Lebanon County Pennsylvania? The following is a directory of Lebanon County PA top employers with direct links to the jobs they offer. This directory includes local city job links as well as the larger job posting boards. Only sources that have job listing pages, business directories, and/or legitimate human resources contact listings are provided below. 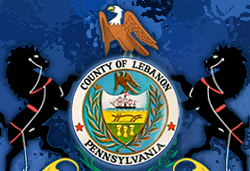 Lebanon County Pennsylvania periodically posts job openings. On this review date there were opportunities for the positions of Nurse LPN Lebanon County Correctional Facility, Correctional Officers, General Clerk Courts, and Clerk Lebanon County Correctional Facility. The City of Lebanon posts employment opportunities on their city administration page when vacancies become available. The Borough of Palmyra was recently hiring for the position of Crossing Guard under the Police Department section. South Lebanon Township was advertising for Part time summer work at the Municipal Building or South Hills Park. Employment applications are available on their site. Lebanon Valley Chamber of Commerce is a great resource to use for exploring area businesses, economic climate, workforce information, cost of living, and more. Their site also has a job board. WellSpan Good Samaritan Hospital has ongoing employment opportunities for a wide variety of specialties. Open positions found had included ED Patient Access Representative, Advanced Practice (CRNP, PA-C), Biller / Coder Specialist, Medical Records Technician, Registered Nurse / Cardiosvascular Operating Room, Medical Secretary, Receptionist, Dietary Aide, Licensed Practical Nurse LPN, Home Health Nurse LPN, Physical Therapist, Housekeeping Aide, Cytotechnologist, Medical Technologist, Phlebotomist, Office Manager, ED Technician, Medical Assistant / Wound Care Center, Monitor Technician Telemetry, Nursing Assistant Telemetry, OB Technician, Patient Care Technician CVU/ICU, Registered Nurse Telemetry, Registered Nurse Cardiosvascular Operating Room, Registered Nurse Pediatrics, Registered Nurse RN Rehab Unit, Clinical Nurse Coodinator Pediatrics, Diagnostic Technologist, Ultrasound Technologist, Polysomnographic Technologist, Pulmonary Diagnostic Therapist RRT, Registered Respiratory Therapist, Audiologist, and Speech Pathologist. Lebanon VA Medical Center provides challenging and rewarding careers for healthcare professionals with great benefits and advancement opportunities. The VA is a technologically advanced healthcare system driven by a team of compassionate professionals with the aim of providing veterans and their families the best possible care. Nurses and Mental Health Professionals will find there are job opportunities available throughout the country. Positions found had included Registered Nurse, Nurse Manager, Psychologist, Medical Technologist, Medical Supply Technician, LPN/LVN Outpatient Behavioral Health, Senior Social Worker, Physician (Dermatologist), Physician (Gastroenterology), Medical Instrument Technician (Vascular), and Physician (Ophthalmologist). Lancaster General Health provides an excellent array of ongoing opportunities for medical professionals and support staff. A survey of open positions found on this review date had included Administrative Assistant, Family Practice Physician, Food Service Worker, Lab Assistant, NFP RN, Office Nurse, Pharmacy Technician, Phlebotomy & Customer Service Specialist, Phlebotomy Technician, Physician Hospitalist, RN Emergency Medicine, Registered Nurse RN Childrens Health Center, Registered Nurse RN Mental Health Unit, NP/PA-Trauma Service, Histologic Technician, Genetic Counselor, Certified Medical Assistant, Surgical Tech, Nurse Supervisor, Phlebotomy RN, Office Nurses, RN Supplemental Staff, Physical Therapist, Cardiac Sonographer, and Laundry and Linen Service Washroom Worker. Luthercare is committed to the well-being of our residents, families, employees, volunteers and visitors. Open positions found included Scheduler, RN Supervisor PRN, Casual LPN, Nursing Assistant CNA, Activities Assistant, and more. Cedar Haven Healthcare Center provides skilled nursing care in Lebanon County. Cedar Haven Healthcare was hiring full-time and part-time LPNs and CNAs on this review date. ManorCare Health Services-Lebanon had open positions for Social Worker, Certified Nursing Assistant CNA, Registered Nurse Supervisor RN, Licensed Practical Nurse LPN, Physical Therapist / PT PRN, Occupational Therapist OT PRN, and Speech Language Pathologist SLP PRN. Annville-Cleona School District posts employment opportunities when vacancies exist. On this review date the following jobs were found: K-12 Speech and Language Clinician, HS Chemistry Teacher, Substitute teaching opportunities, coaching vacancies, On-Call Substitute Custodian, and more. Cornwall-Lebanon School District was hiring. Jobs found included Guidance Counselor, and the following substitute positions: School Nurse, Secretary, Cafeteria Proctor / Entrance Monitor, Cafeteria Helper, Teacher, and Instructional Teacher Assistant. Lebanon School District had employment opportunities that included Elementary Learning Support Paraprofessional, Day-to-Day Substitutes-Teaching and Support Staff, Personal Care Assistant, Itinerant Learning Support, Food Service, and coaching positions. Northern Lebanon School District was hiring. A survey of vacant positions found had included Student Accounting Clerk, Class-Size Reduction Teacher, Coaching Vacancies, Middle School Special Education Teacher, Instructional Assistants, Elementary Special Education Teacher, Biology Teacher - Long-term Substitute Vacancy, German Teacher Vacancy, School Nurse's Aide, V3 Teacher Vacancy, and Day-to-Day Substitutes. Palmyra Area School District's current openings are listed on their website. Harrisburg Area Community College HACC periodically hires faculty and support staff. Lebanon Valley College is a private, residential, coeducational liberal arts college with approximately 1,630 students and a tradition of excellence in teaching. Lebanon Valley College posts Faculty Openings, Adjunct Faculty Openings, Administrative Openings, and Staff Openings. The members of the Evangelical Seminary administration and staff at Evangelical Seminary are deeply committed to the education of their students. Lebanon Valley Mall has a "Now Hiring" link on their homepage which lists some Retail Sales jobs, Assistant Manager, Management (Keyholder) Positions, Repair Technicians, and Public Safety Personnel. Make sure you are dealing with reputable companies before applying. The Lebanon Craigslist had job postings for positions such as Cafeteria Worker, LPNs and Home Health Aides Needed, Driver - School Van Lebanon Area, Part Time Merchandiser, Amatuer Photographer, Substitute Teachers and Nurses, Industrial Electrician, Maintenance Mechanic, Machine Operator, Administrative / Finance Assistant, Help Wanted: Dairy Farm, HVAC Electrical and Plumbing Professionals, Hotel - Room Attendants, Housekeeping Jobs, Part-Time Janitor, Loss Prevention Detective, Custodians - Janitors (Lebanon, PA), Delivery Driver, and Food Production Workers.